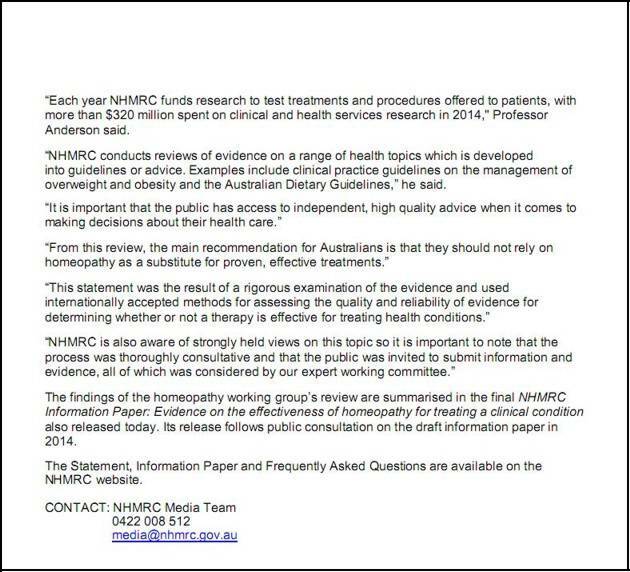 Homeopathy was all the world had when average life expectancies here half of what they are now. Then came science and modern medicine, infant mortality dropped and conditions that shortened life became treatable. Perfect no, but much better than the alternative. Then came science and modern medicine, infant mortality dropped and conditions that shortened life became treatable. Unfortunately, science and modern medicine also tend to authoritatively state that some conditions are incurable, thereby eliminating the placebo effect in the minds of the skeptics. Without getting into theological debates, 99% of the curative miracles by so called healers can be explained by the blind faith of the believers in the existence of such miracles, period. I don't believe in the placebo effect. 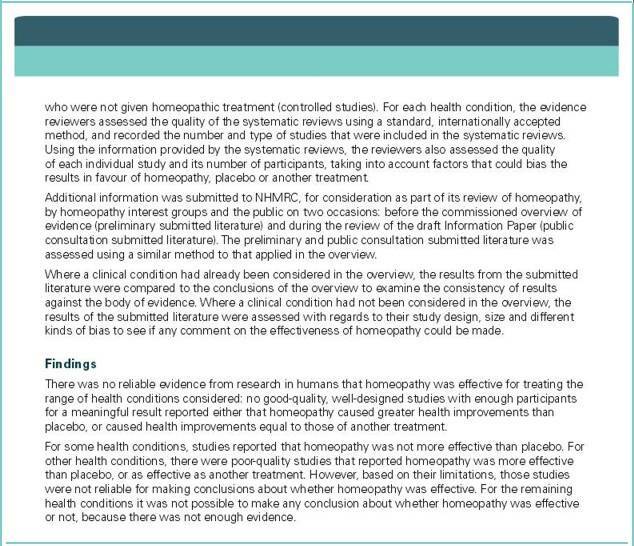 Are there conditions that were effectively treated in the past either with homeopathy and/or the placebo effect that are no longer treatable? Certainly modern medicine is not perfect by any stretch, but are we also not dealing with more and/or different diseases as a function of people living longer? The book "The Secret" did a masterful job of cherry picking a few of these stories to drive their point home, and sell books, mostly sell books. 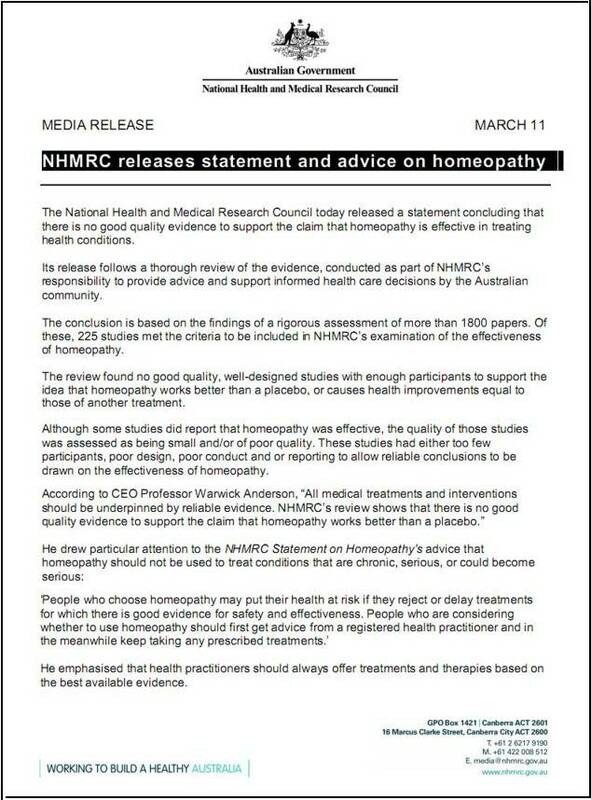 Homeopathy is a deliberate misnomer ......it is guesswork at best and deceptive usually ...by its own definition it has no idea of the potency of its products as they are not controlled.....if it is then its not homeopathy ...A few great examples are the "colloidal silver " tablet/enema craze ....and the "black salve onitment for skin cancer of all types" and all the newly permanently blue tinted people we saw post infusion, and all the termnal people we saw because they failed to seek real science based medical intervention and delayed telling their Doctor until it was heartbreakingly too late. 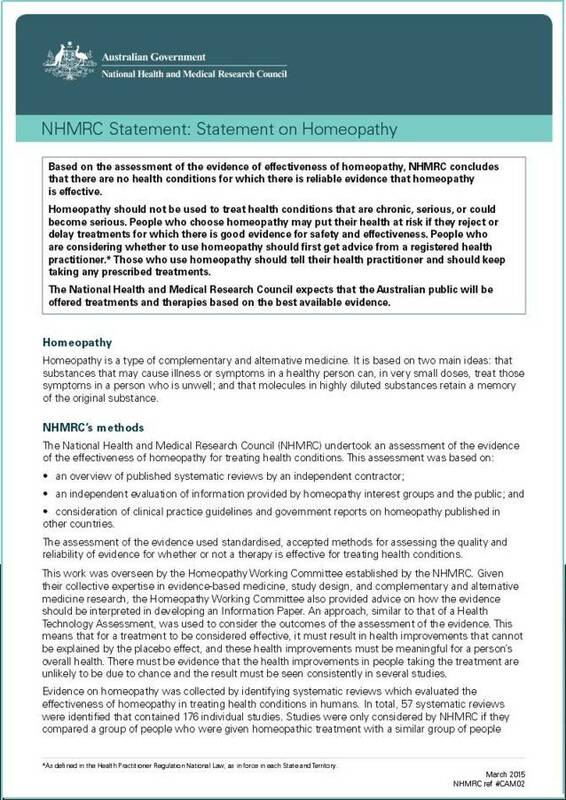 Homeopathy is NOT A SCIENCE based thing ...it has a cult following and many of a similar types of defence.....it is a guess at best and usually harmless because you get low dose multivitamins delivered via an unreliable and unregulated means.